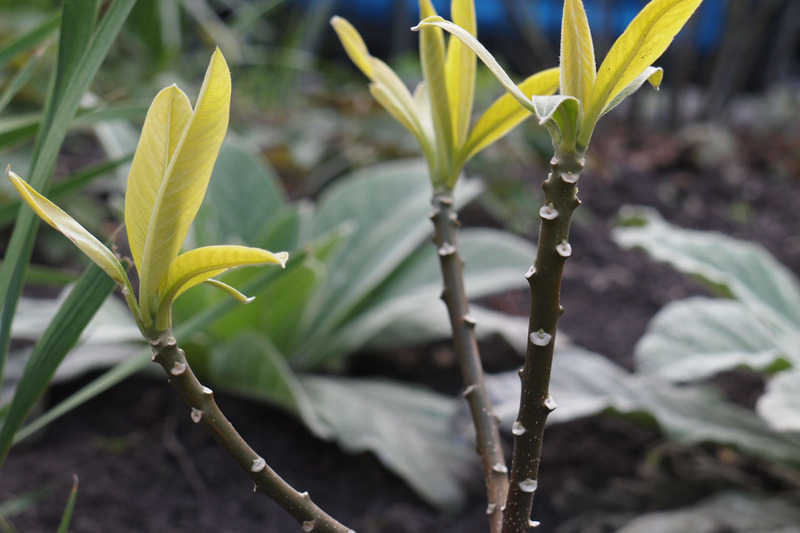 On the 3 April we planted an Edgeworthia chrysantha in the large border to the side of Elizabeth Gaskell’s House. A month earlier I had visited RHS Wisley and seen these shrubs for the first time. Over a hundred of them have been planted in borders there. They have a lovely yellow flower which apparently lasts for months during winter and early spring and a powerful perfume. Winter flowers are always scarce so this pretty shrub with its strong perfume stood out for me on my tour. Their name also caught my attention. I was well aware of the name Maria Edgeworth, an early novelist and advocate of women’s education. We have several of Maria’s novels in the study. I did not know, until recently, that there was a direct connection between Maria and Elizabeth Gaskell, through the Holland family. Maria Edgeworth apparently visited Hollands in Knutsford in 1813 and exchanged letters regularly with Mary Holland, an aunt of Elizabeth. But is this shrub connected to Maria Edgeworth? 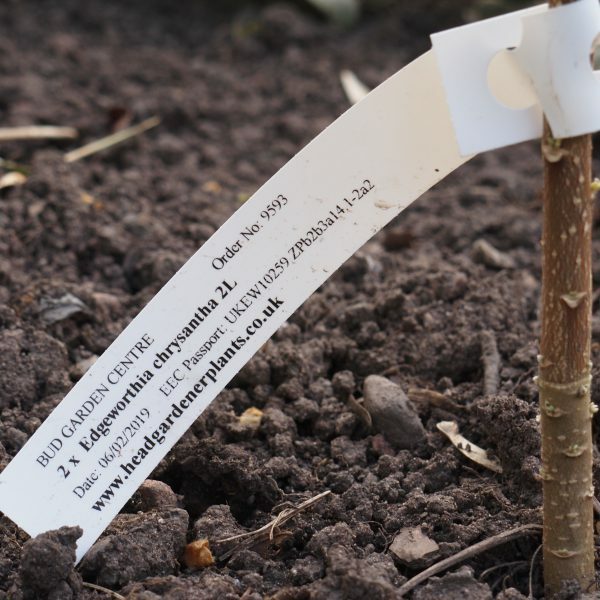 Some quick research, with assistance from the RHS, has revealed that the shrub is named after Michael Edgeworth, a botanist and his half-sister Maria. That is unusual in itself. If Michael was the botanist, possibly responsible for bringing it back to these shores from his travels, why was Maria honoured as well? The RHS has suggested that perhaps she may have funded her half-brother Michael’s explorations. Or perhaps they just wanted to honour a successful female writer at the time it was named. 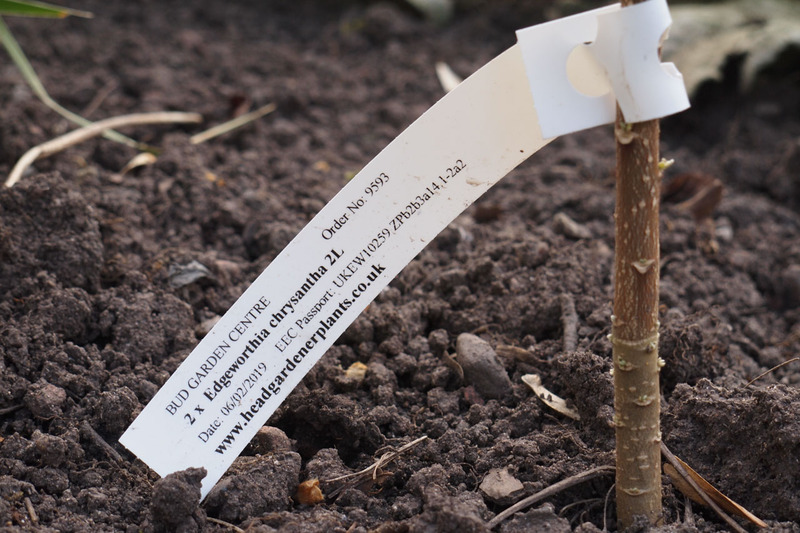 Other research suggests that an earlier botanist called Cuninghame was responsible for bringing a dried specimen of the shrub to Britain at the start of the 18th Century, so why was it later named after the Edgeworths? Many questions remain to be answered and members of the gardening team are on the case. We will let you know our findings when we have them. 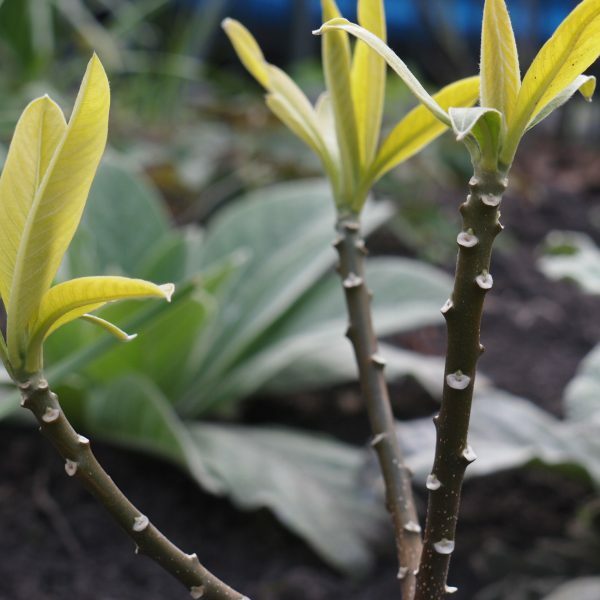 In the meantime we were delighted to find that the shrub was available to be purchased locally from Bud Garden Centre in Burnage. We have sited it in a sunny position fairly close to a path so that visitors will be able to smell its perfume once it is established. We shall nurture the shrub carefully and hope that it has a long life in our garden. And as with so many avenues of research inspired by Elizabeth Gaskell’s House, we now hope to find out much more about Maria Edgeworth and her botanist half-brother.